Anyway, I'm really glad I discovered this community. It seems pretty spiffy. I took piano lessons as a kid but it was TORTURE. I have mild dyscalculia, which wasn't diagnosed until I hit college, and it makes reading sheet music pretty difficult/frustrating. Artistic talent seems to run in my family, but sometimes I feel like I was passed over, my siblings play guitar, piano, accordion, they can sing, compose their own music... Not me though. Took violin lessons for a year in 2012, but I'm too much of a perfectionist to handle having a teacher watch me mess up. Now I'm giving the violin a second attempt, hoping to have more fun this time around by self-teaching. Can't wait to hear of the news on your violin journey. Welcome, @knitwhim! You've come to the right place for friendly, helpful advice and camaraderie (and sometimes commiserating). Look forward to hearing of your progress. Welcome to the forum, knitwhim! Hey, how's the Navy life treating ya? My wife and I were both in from '99-'03. I know a lot can change in over a decade. 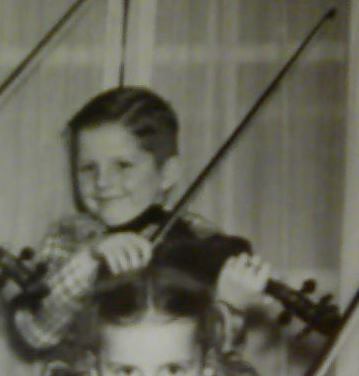 I would have loved to have had a violin while traveling when I was in, but it never dawned on me to get one at the time. Hopefully it will help you pass the time during the more monotonous tours you might encounter, and give some nice stress relief while playing.